When we went to the first Formula One race on the new Nürburgring last October it was to see the European Grand Prix, an extra event slipped into the calandar for "administrative" purposes, so it was not necessary to take it very seriously as an event, though it did score points for the Manufacturers' and Drivers' Championships. 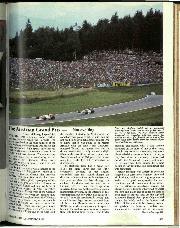 This year the visit to the Eifel Mountains was much more serious, for it was for the German Grand Prix, the first "Grosser Preis von Deutschland" to be held in the Eifel since 1976. If the British Grand Prix was held on the Silverstone Club circuit, instead of the 3 mile outer circuit, or at Brands Hatch on the club circuit within the stadium, instead of the exciting bit out to Hawthorn's and Westfield. I don't think there would be much enthusiasm among the followers of the Grand Prix of Great Britain. The new Nürburgring seems to have the same effect on the Germans and 67,000 spectators turned up to watch the German Grand Prix, a mere shadow of its former self. In the past there have been some memorable "Grosser Preis von Deutschland" on the mighty Nürburgring but the best we are going to get on the new (Mickey Mouse) Nürburgring are going to be "forgettable". Formula One today is such a slick and highly organised travelling circus, prepared to erect its "big top" anywhere where the money is good, that everyone would be assembled and organised on our village green if the money was right. It would only be on Friday morning at the scheduled 10 am when practice was due to start that someone would say "here, wait a minute, we can't race on grass". One thing that the new Nürburgring does have is good facilities, spacious pit lane, large workshops, vast paddock area, hospitality suites above the pits, heat, light and sound in the garages and obviously ease of entry into the Formula One sanctum judging by the number of children in the pit lane. There were numerous changes to the pit lane scene. Enzo Osella, who has been financing his little single-car team for Ghinzani, has reached the end of the financial road. Piercarlo Ghinzani has been driving for the fun of it, with no money being involved, but now Enzo has been forced to ask him to stand down and make way for a driver with financial backing that he can put into the team. This is the amiable Dutchman Huub Rothengatter, so car number 24 was in new hands. Being quite fair and straightforward Ken Tyrrell nominated Stefan Bellof to drive the lone Tyrrell-Renault turbo, as Brundle had driven it in the British GP, so it was only right and proper that Bellof should drive it in the German GP. As one car is a Tyrrell­Renault and the other, which Brundle was to drive, a Tyrrell-Cosworth they are considered to be two different makes and this transgresses some obscure rule in the Concorde agreement. Officialdom said if the drivers changed numbers all would be well, so Bellof became No 3 and Brundle No 4. Nobody really understood what it was about, but officialdom was happy and that was the important thing. Both Tyrrell drivers had a spare car at their disposal, but as yet there is not a surfeit of Renault engines, or any 1985 engines for the boys in blue. 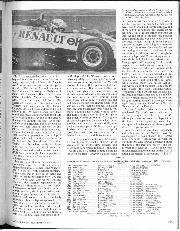 The works Renault team was surpassing itself, entering a third car for Francois Hesnault. Tambay and Warrick had the new RE60 B car's and one of the earlier RE60 cars had been rebuilt to as near B-spec as possible and was the T-car. Hesnault's car was fitted with a compact TV camera behind the cockpit, and the idea was that there would be a direct transmission relayed up to a helicopter, piloted by the old Formula One driver Henri Pescarolo, and then beamed down to the normal television channel. It was all good "high tech" stuff backed by ELF in conjunction with Thompson. For this camera Hesnault had one of the earlier RE60 cars, and the "testing" team of mechanics looked after it. After trouble at Silverstone with the modified AP-Lockheed clutches on the Honda engines the Williams team now had new and stonger clutches to cope with the obvious power increase of the new Honda engines. 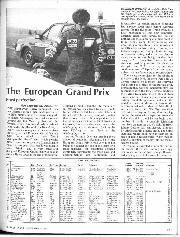 The Toleman team was under the control of Pat Simmonds, as designer Rory Byrne was laid low with a bout of 'flu, and Alfa Romeo by Euroracing had taken a big step backwards! Patrese and Cheever were to drive modified 1984 cars, called 184TB and a lone 1985 car was acting as the T-car. Ferrari were back to square one, running normal 1985 cars for Alboreto and Johansson and not the ones with the new front suspension that had appeared at the French Grand Prix. Like McLaren, Lotus, Arrows and Ligier, the Zakspeed team had to blank out its cigarette advertising to conform with German laws. With a lot of stopping and starting on the new short circuit, brakes were a vital factor and much attention was being paid to cooling and heat dissipation during the first test session. Fortunately the weather was cool, which helped, though the skies were sunny and bright, just how cool and humid the mountain air was could be seen by the condensation streamers flowing off the corners of the rear aerofoils on some of the cars. As the morning progressed the skies became clouded and rain was not far off, so the afternoon qualifying saw most people trying to get out promptly while the track was dry. It almost goes without saying this year that Ayrton Senna set the pace early on with a Lotus-Renault, but the surprise of the afternoon was that Teo Fabi whirled the Toleman-Hart round indecently quickly and improved on Senna's time by more than a second. 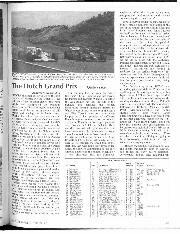 It was not as the result of some sudden magic produced by Rory Byrne on the Toleman part, or Brian Hart discovering a whole lot more power from his 4-cylinder engine, nor was it some magical qualifying tyres produced by Pirelli. The Toleman­Hart was very close to the front runners at the end of last season, and the team did not restart until late into 1985, so has had a lot of ground to make up. This it has done steadily and it got a good average across all the variables, with no weak points, which gave Fabi a very healthy 1 min 17.429 sec. Some of the serious opposition was in trouble, stemming from the morning test session, Piquet, for example, having to use his race­car as the special T-car had broken its engine and a new one was being installed. Prost had been plagued by brake trouble all morning, which had delayed his tyre selection and chassis tuning, so he was using the qualifying hour as an extended test­session. Mansell was also in brake trouble in the morning and this fed over into the afternoon so that he did not get out until near the end of the qualifying hour, and Rosberg had spent the morning experimenting with variables to suit the circuit and was not really ready for the afternoon qualifying, and neither were the two Ferrari drivers, Alboreto and Johansson. 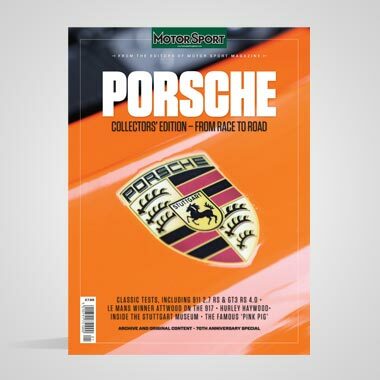 The pace at the front of Grand Prix racing today is so fast and furious that there is no room for anyone who is not absolutely ready and needle­sharp. While others were floundering about the Toleman team was right on the ball, and little Teo Fabi made the most of it. 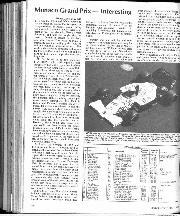 After doing one flying lap, in a time of 1 min 18.792 sec, at the beginning of the hour, Senna was content to sit quietly in his cockpit, watching a VDU of the times, while his front tyres were in the back of the garage wrapped up in electric blankets. He was totally confident that he could reclaim pole position any time he wanted so sat and waited until 1.45 pm when the warmed-up front tyres were fitted, the Renault engine was started up and he was ready to go. But then the engine died! The Renault engine men fiddled about but it still would not start and then after undoing various pipes and checking fuel fl.ow it started but would only run on near full-throttle and even then it popped and banged. Time was running out for Senna so he elected to give it a try even though there was obviously something wrong. 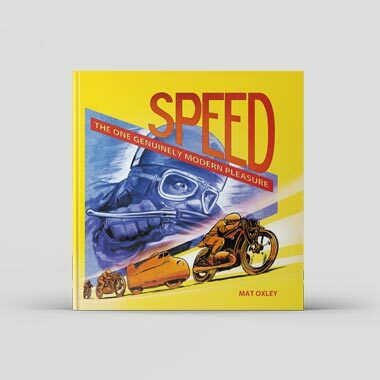 He went away down the pit lane with the choice of 9,000 rpm or nothing and did one lap and straight back into the pits. It was impossible. More fiddling about by the Renault mechanics but there was no improvement and in the final minutes Senna tried again, but it still wasn't worth even attempting a flying lap, so his earlier time had to stand. It later transpired that a rubber sealing washer had disintegrated and bits had got into the fuel pressure pump. Meanwhile, Piquet, Prost and Rosberg all had their final fling but none of them could depose Fabi from his position at the top, nor could Alboreto and Johansson, so the qualifying hour ended with the Toleman-Hart team grinning broadly for they had really put the cat among the pigeons, and nobody's grin was broader than little Teo Fabi's. Johansson, Prost and Rosberg all improved on Senna's single flying lap but the Toleman was 1.2 sec ahead of the best of them, which meant they were all going to have to improve by nearly two seconds in the Saturday qualifying session if honour was to be retrieved. Fabi was very happy and said he thought it would be quite nice if it rained on Saturday! It wasn't a very popular suggestion. Among the "also-rans", and these days it tends to include the Regie Renault works team, while Lotus-Renault and Ligier­Renault are ahead of them, there were all the usual troubles. Warwick had a big "moment" when something broke in the rear suspension and he spun in the middle of the track without hitting anything, but it was a lucky spin. Lotus shambles was added to by de Angelis pulling off onto the grass verge in the T-car when a driveshaft joint broke. The trouble-ridden Minardi team, which seemed to start off quite well back at Imola was in total chaos. One car broke its engine and Pierluigi Martini wrecked the other one during the morning testing, so he had nothing to use for the qualifying period. Teams like RAM-Hart, Zakspeed, Alfa Romeo and Osella just don't seem to be making any visible progress, while Ligier and Arrows have flashes of brilliance that are not sustained. As the scheduled hour of 10 o'clock arrived on Saturday morning to herald the start of another test-session, the rain started, and that was that. It was obviously set in for the day so all hopes of any improvement on Friday's qualifying times were gone. The only thing to do was to try and prepare for race-day being wet. Although the rain stopped now and then there was never any hope of a dry track arid the morning session was well summed up by dear old Jacques Laffite making the fastest lap. The qualifying hour from 1 pm to 2 pm was no better and at times got worse, and those who did venture out were on heavily treaded "rain" tyres. Gordon Murray had just explained that he wasn't letting Piquet go out in the foul conditions as all he could do was to risk "losing it" on the slippery track and wrecking the Brabham, when Fabi ''lost" the Toleman T-car on the pit straight as he changed gear and rammed the guardrail, destroying the front. It seemed as if the rain might stay for race day so most drivers had a few laps in therain, and when the rain stopped and the sun shone briefly there was a flurry of activity, but it was a waste of time as the rain returned and only de Angelis got below 1 min 30 sec, more than 10 sec off a poor qualifying time of Friday. 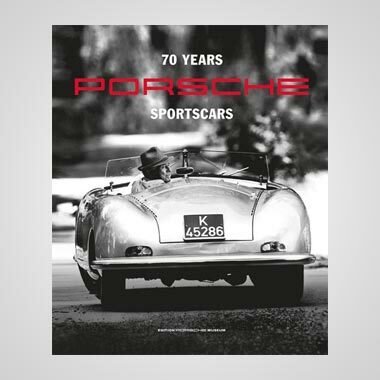 It was now all over and Fabi was taking his first pole­position in Formula One. It was also the first time on pole position for Pirelli, Brian Hart's engine, the Toleman car and their sponsors Benetton. Behind the scenes in the paddock there was genuine pleasure all round for the Toleman-Hart team, from rival engine manufacturers, other teams and ex-Toleman drivers. The only sad bit was that Rory Byrne wasn't there to enjoy it all. The Germans may have built a New Nürburgring, but it is still the same old weather in the Eifel mountains and nobody was very convinced that Sunday would stay dry, though surprisingly it did, even though heavy clouds filled the skies. In the morning warm-up session, where everyone was running in race-trim, the "heavies" like McLaren, Lotus, Brabham and Ferrari were looking more their normal selves, but even so Fabi was still in with them with the Toleman. 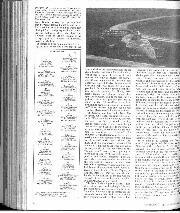 The 67 lap race was due to start at 2.30 pm and at 2 pm the pit lane was opened to let everyone drive round the circuit to the "dummy grid", most drivers putting in more than one lap. With Teo Fabi on pole­position and Stefan Johansson in second place, these two comparative newcomers to the fore-front of Formula One must have been a little apprehensive knowing that they had behind them a pretty tough bunch of racers in Prost, Rosberg, Senna, Piquet, de Angelis, Alboreto, Patrese, Mansell and Lauda. In the back half of the grid was the sad sight of three works Renaults, mingling with RAMs, Arrows and Tyrrells. The New Nürburgring starting grid is just after a slow corner so that though Fabi and Johansson took their places promptly at the front after the parade lap, it seemed an age before the back of the field was .in position after creeping round the slow corner. The Toleman clutch seemed to be dragging as Fabi held pole-position and Johansson got the jump on him as the green light came on. The Toleman then spun its rear wheels violently and was swamped by the chargers from behind. In the rush to the first corner Senna made another "Villeneuve start" and was into the lead from Rosberg, while Alboreto locked his brakes and slid into his team-mate's right rear wheel, puncturing the tyre. Senna and Rosberg were away, but round that opening lap the Honda-powered Williams stormed past the Renault-powered Lotus and took the lead with remarkable ease. Poor Johansson, who had been looking forward to a really good race from the front, had to limp round the opening lap arriving at the pits long after everyone had gone by, with his right rear tyre in shreds. It was replaced and he rejoined the race as the leaders came up behind the paddock to finish their second lap. 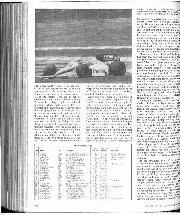 Of the 27 starters only 26 had gone by for Laffite had inadvertently punted his team-mate de Cesaris, off the track and into retirement in the first-corner fracas. In no time at all Rosberg and Senna opened up a gap to their followers, led by Alboreto, with de Angelis, Prost, Piquet, Mansell, Fabi and Patrese following. The Toleman driver had had his moment of glory. A RAM retired almost at once, as seems inevitable, and the Renault team were so far back that they couldn't see who was in the lead of the race. Back in the race Johansson was lapping fractionally faster than the race leader, which made his first corner "shunt" all the more infuriating, and was galloping up on the tail-enders, but with little hope of getting in the top six, though it was not for want of trying. Patrese retired his Alfa Romeo in a cloud of smoke and the Zakspeed expired with engine trouble, and then the Renault "camera car" fizzled out with clutch trouble, thus putting an end to an expensive little TV experiment after only a few seconds transmission. The second RAM retired. By 10 laps a pattern had taken shape. Rosberg and Senna were well out in front, very evenly matched, with Alberto, de Angelis and Prost in close company with third place at stake. Then came Mansell leading a "train" of cars comprising the Brabham of Piquet, the Toleman, Boutsen's Arrows­BMW, Lauda's McLaren and "Jack Lafferty" in the Ligier. Cheever's Alfa Romeo was leading the rest, whi.ch included Tambay and Warwick in the factory Renaults. On lap 14 Senna decided he had followed the Williams-Honda for long enough and made a lunge through the inside at the hairpin at the far end of the circuit. Rosberg was unimpressed and "sat it out" with the young Brazilian, but on the next lap Senna was more forceful and was by and into the lead. There was still little to choose between the two of them and it looked as if "stalemate" was approaching, but on lap 27 fate stepped in with another cruel blow for the brilliant Brazilian driver. This time Renault were blameless, unlike at Silverstone, for the Lotus let him down in the shape of a broken drive-shaft universal joint. (Didn't one break on the T-car in practice?). How many times has Ayrton Senna retired while leading a race? Tambay spun off into the sandy run-off area on the corner before the pits and got bogged down into retirement, and Warwick retired at the pits with electrical problems. Piquet went out in a cloud of flame and smoke as his turbo-charger blew up, and before half distance Cheever was out and also Fabi, the Toleman expiring onto the grass verge with no drive to its rear wheels. Rothengatter retired the Osella with a broken gearbox, de Angelis retired with Renault engine failure, and so it went on. Rosberg had seemed to be completely uncatchable but as lap 40 approached he began to lose ground and Alboreto and Prost closed up on him. As they ended lap 45 there was a bit of pushing and shoving as they braked for the last corner and Rosberg went into it in first place, but came out of it in third place! The Williams brakes were behaving oddly and Rosberg had to let the other two go. A fair way behind him Mansell was still holding off his pursuers, but they were now down to Boutsen and Laffite, for Piquet had gone out spectacularly, as already mentioned and Lauda had gone into the pits with a nasty grating noise somewhere behind him. A piece of ducting had come loose and was chafing a tyre, so it was just as well that he stopped to have it removed, and he had new tyres while he was there. 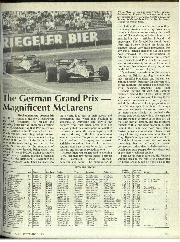 Boutsen's tyres were wearing badly and Laffite found a way by, into fifth place and began to close on Mansell. Throughout all these happenings Johansson had never eased up and was driving splendidly, now up into seventh place. With ten laps to go Rosberg was into the pits for a change of tyres, but it was to no avail as four laps later, he was back to retire with brake trouble. In the closing phase of the race the leading Ferrari began to smoke slightly as it accelerated out of the slow corners, and Prost must have smiled to himself, thinking it would only be a matter of time before he inherited the lead. However it did not work out that way. At the end of lap 57 Rosberg was heading for the pits and a new set of tyres, and Mansell and Laffite went by, and at the end of the next lap Prost locked up his rear brakes into the last corner and spun off into the run-off area. He kept the Porsche engine running and was able to get back on the track without losing his second place, but now all hope of catching Alboreto was gone, and the smoke from the Ferrari was not getting any worse, so obviously it was not serious. As Alboreto cruised through the remaining laps, with Prost trailing some ten seconds behind, Laffite and Mansell were having a splendid "ding-dong." The Honda engine in the Williams was losing turbo­charger boost and subsequent power, while the Renault engine in the Ligier was very healthy and the two cars passed and re­passed, but with three laps to go the Honda sounded very rough and Laffite got away, while Boutsen caught and passed Mansell, and within sight of the finish Lauda caught and passed the sick Williams-Honda. Johansson's climb up through the field had suffered a setback at the end of lap 63 when erratic wearing brakes caught him out and he spun, letting Berger's Arrows get ahead again, and a lap later Bellof in the Tyrrell­Renault passed the Ferrari. Martin Brundle's drive in the totally outclassed Tyrrell-Cosworth V8 was a classic example of "the right stuff''. Although he was last, some four laps behind the leader, he never gave up driving hard and quite a few factory team drivers would do well to copy his example. 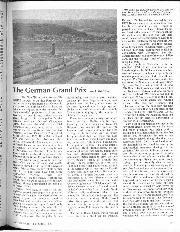 As a Formula One race it was not exactly enthralling and as the "Grosser Preis von Deutschland" it was a shadow of its former self. The new Nürburgring is what the Formula One establishment demanded under the guise of the great god ''safety", and that is what they have got. I don't think very much adrenalin flowed either on the track or among the handful of spectators. D.S.J. 2nd: Alain Prost (McLaren MP4/2B-2) 1 hr 35 min 42.998 sec. 3rd: Jacques Laffite (Ligier JS25/5) 1 hr 36 min 22.491 sec. 4th: Thierry Boutsen (Arrows A8/3) 1 hr 36 min 26.616 sec. 5th: Niki Lauda (McLaren MP4/2B-?) 1 hr 36 min 45.309 sec. 6th: Nigel Mansell (Williams FW10/6) 1 hr 36 min 48.157 sec.